First Novels Club: Yes, I'm jealous of Frankie. Thank you so much for this post! Seriously. When I hear of someone getting a hot agent or a multi-book deal, I am SO happy for them (unless they're Tyra Banks), but I'm also a little jealous. This makes me feel guilty and then I assume I'm a bad person. It's reassuring that I'm not alone out there!! Great post (and great Friends quote!). I'll admit to a little twinge of jealousy when I see other writers getting agents and book deals, but I think it tends to be the "motivating" jealousy rather than the hostile jealousy, kwim? Like, "Man, I want that too... good for you, now I'd better get back to my WIP." Love this post. I totally know the feeling. Seems like everyone is getting agents these days. I'm so ready for it to be my turn! Still, Super Congrats to Frankie~! Aw, don't be sad! You'll get an agent soon, but I think it's unlikely that I, a 13 year old, will find an agent. 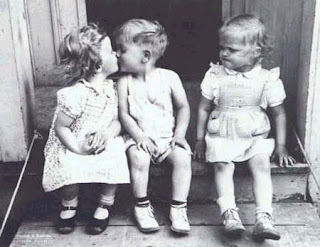 Haha, see I can be more jealous! Good for you for using envy as a motivator and for the openness and support of your CPs. You girls have got it good! Mireyah -- Yayyy Friends! I agree, there's no denying human nature. It's what you do with those feelings that matters. Jade -- You're welcome! That's exactly why I wrote this post. Glad it helped! Bethany -- Ummm... can I quote you? "But when you throw your support behind the object of your envy and even if you tell them, it can like... evaporate. Which is the BEST feeling in the world." That's EXACTLY what I meant! Guinevere -- Definitely motivating jealousy here! Marybeth -- Yep, my little twinge of envy didn't at all hamper the obnoxiously exubert joy I felt for Frankie. Kirthi -- Considering I didn't know agents existed til I was in college, I'd say you're ahead of the game! Caroline -- I was hoping my open-book-ness wasn't going to backfire on me with this one, so I'm so glad you guys understand! I love my FNC ladies!!! Ha! Good on you for admitting it, good lady. I love hearing about my bloggie-friends' successes. And since most of them write YA, and I write adult, jealousy isn't an issue, so much. What I *am* a bit jealous of? That everyone else is so far ahead of me. I wish I'd started earlier. *sigh* I'm a bit impatient... can you tell? Bravo for being so brave, Donna! Great post Donna. Thanks for putting yourself out there--over the last couple months, I've had similar thoughts/feelings, and you have articulated those conflicted feelings that have been buzzing around inside me. And I just love what Caroline said in her comment--we *have* got it good! Christina Lee -- Glad I could help! Frankie -- I'm so beyond "pretty cool" :-P Love you!!!! And thanks for not hating me for making you the object of my post. Pirate Penguin -- Thanks! And please please go start watching Friends! Janine -- Awww yeah, I love our group!!! Right now I'm pretty much in full-on "happy for you" mode since I'm not in a query frame of mind yet. But I'm really competitive so I know when I get close to querying I'll start to get really jealous to make up for now. Like once my roommate and I were both trying to lose some weight, and I used to suggest we go out for ice cream or get other treats to encourage her to cheat on days I knew her class schedule was too busy to make it to the gym, then I would work out extra hard so I could "win." I was so evil. Awww, Donna. Don't worry. You're an excellent writer, as this blog attests, AND you're determined. You WILL get there. You're far ahead of me (and, apparently, Simon). I could be jealous of YOU. For instance, you've finished your novel. And I'm still at 22K words. You've started querying agents, and I'm nowhere near that point. So, it's all relative. Like Simon Says (heh heh), I'm jealous that I didn't start sooner. Like when I was *coughcough* under 50. And Frankie's lucky to have you for a friend and crit partner.